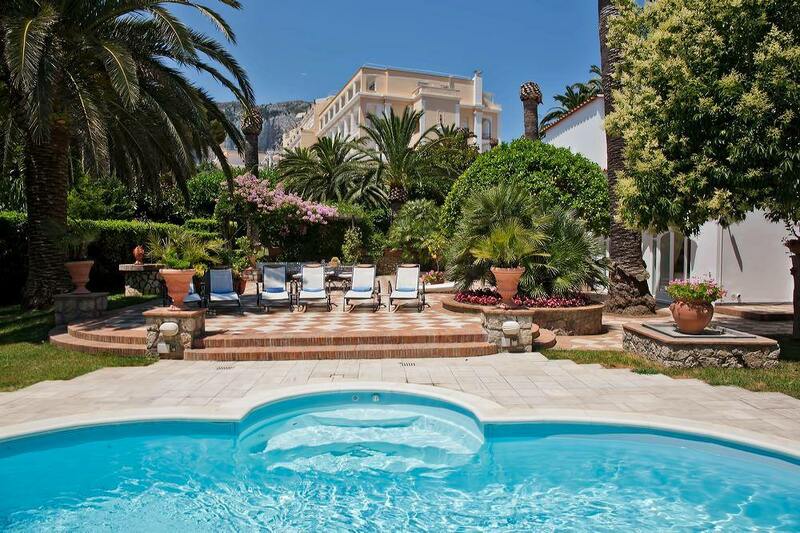 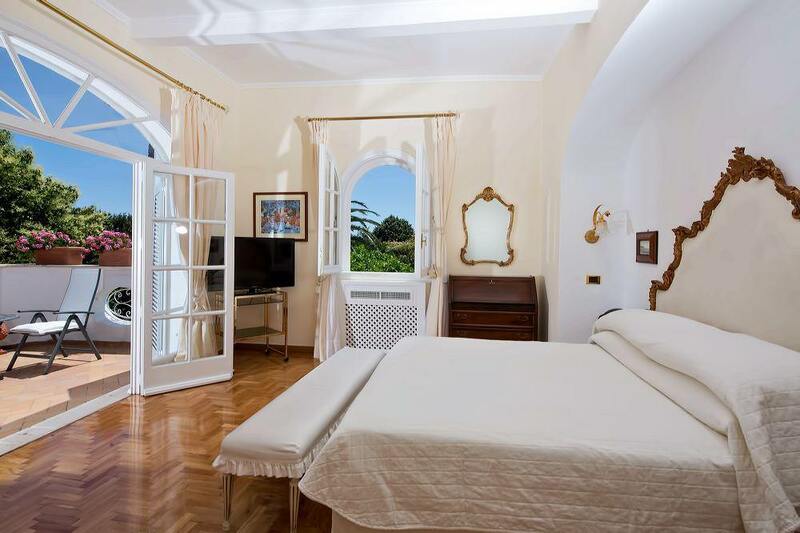 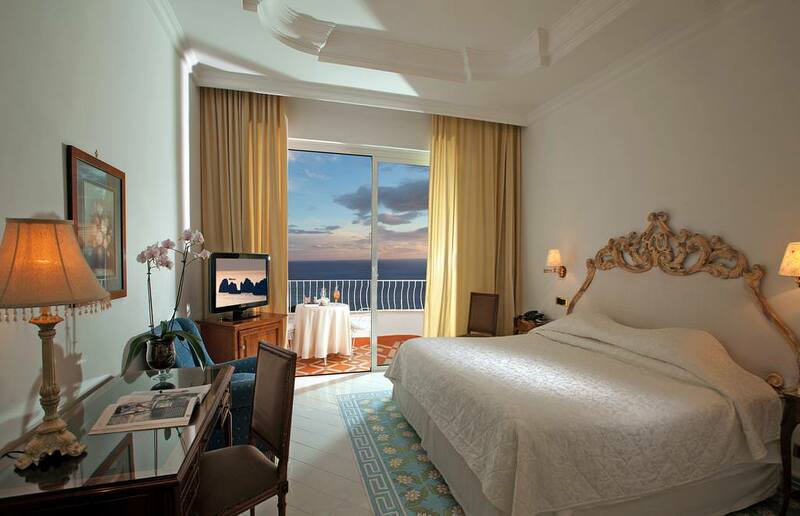 Just steps from Capri town’s central Piazzetta, this iconic five star hotel has been the favorite of politicians and poets, royalty and rockstars since it opened in 1845. 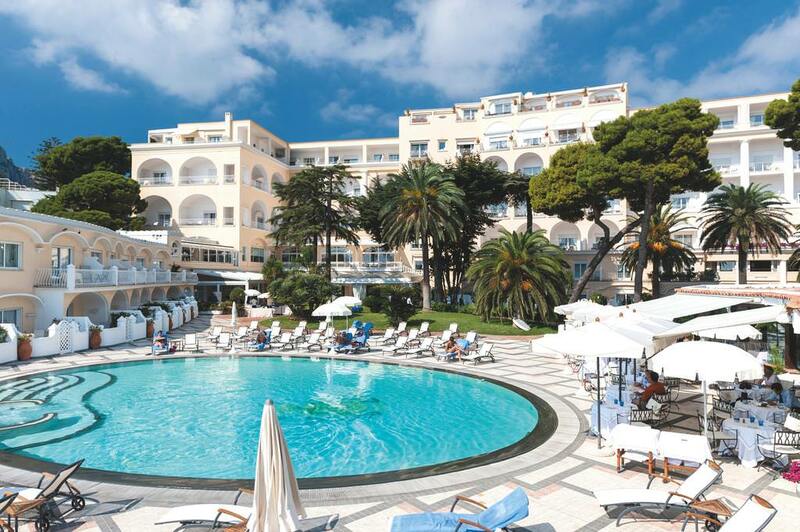 Outside, guests can relax on the legendary terrace. 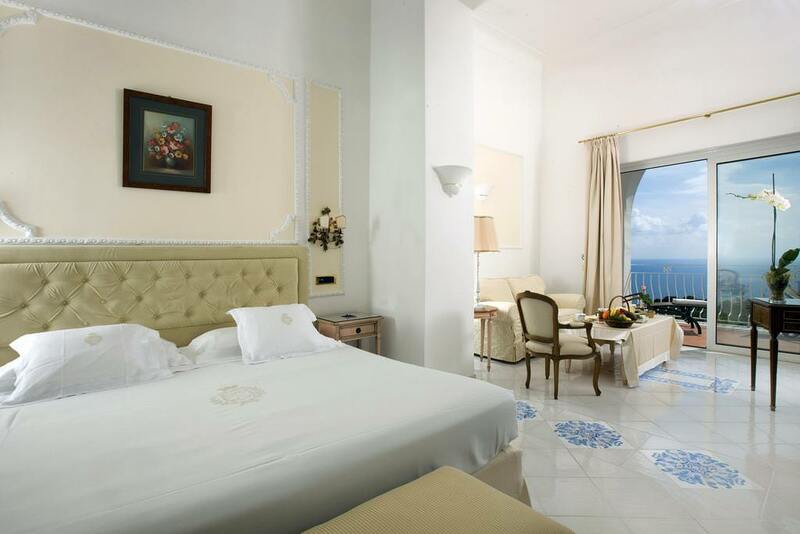 Inside, a luxurious oasis of peace and tranquility awaits, where shimmering chandeliers, polished marble floors, gilt-framed mirrors, and the warmest of welcomes immediately transports guests to another world.The boutique-lined Via Camerelle skirts the hotel on one side, and the fragrant gardens overlooking the Mediterranean, complete with a scenic pool and an unforgettable view of the Faraglioni, welcome guests on the other.